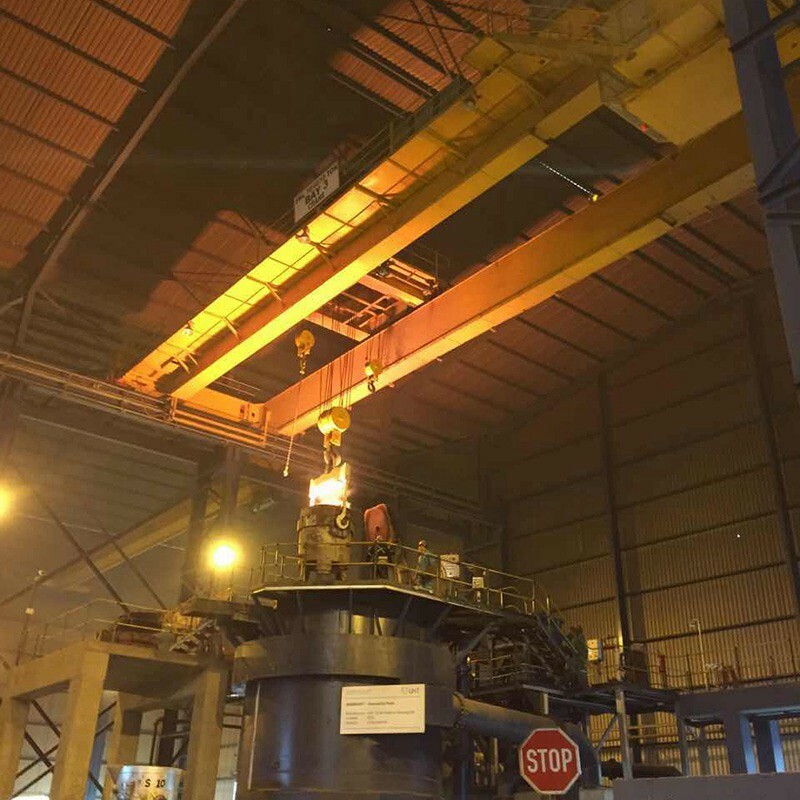 Ladle cranes are used to perform material transport between different machines in the rolling mills. 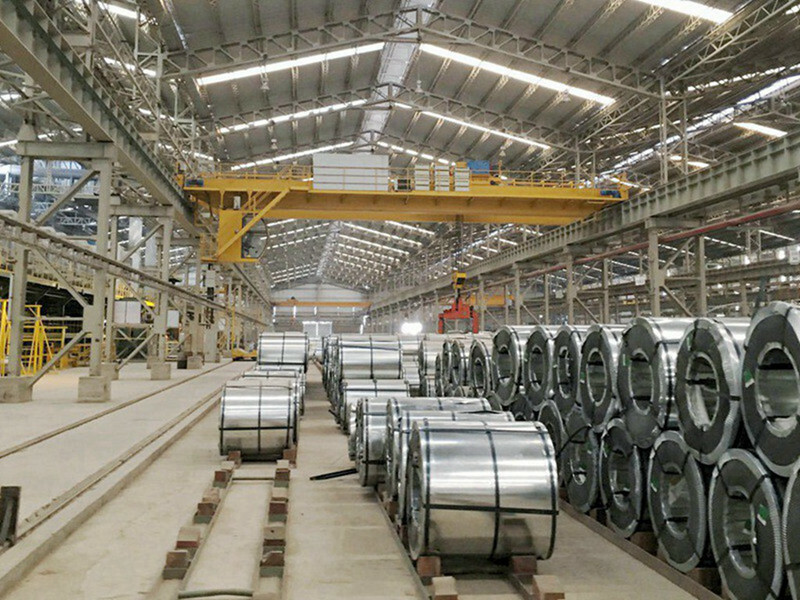 In order to improve the precison of the position, they may incorporate with a rotating trolley to put the product correctly in relation to the conveyor. mechanism.That could make the crane more safe.Also the high quality hydralic thrusters is the most important parts to make the brake perfect working ! Safety limit switches for stoppers will be provided to prevent over traveling in all motions. 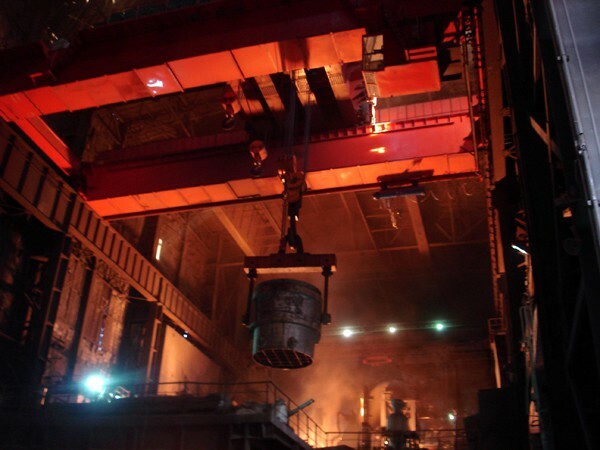 Thousand of our cranes with capacities up to 600 t have been successfully operating at many heavy steel industries. 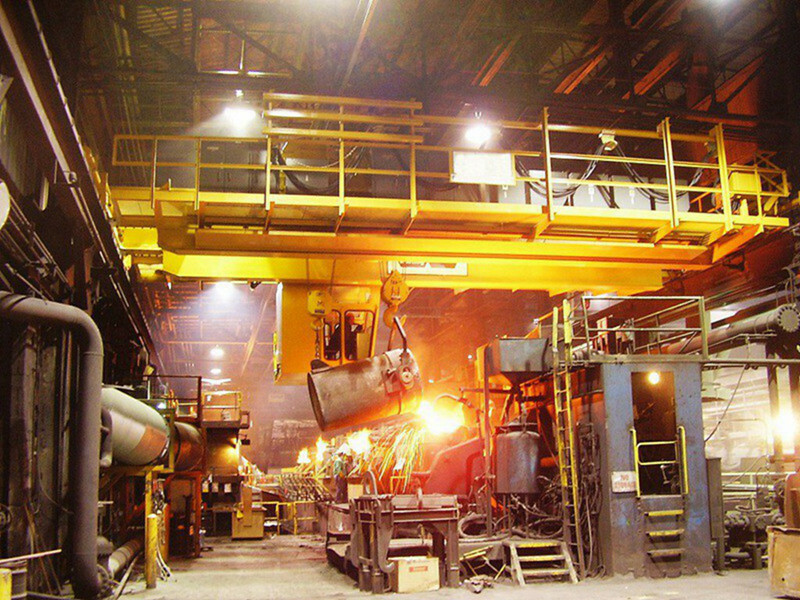 The excellent of our cranes satisfy our clients and help us build a strong reputation as an outstanding supplier. 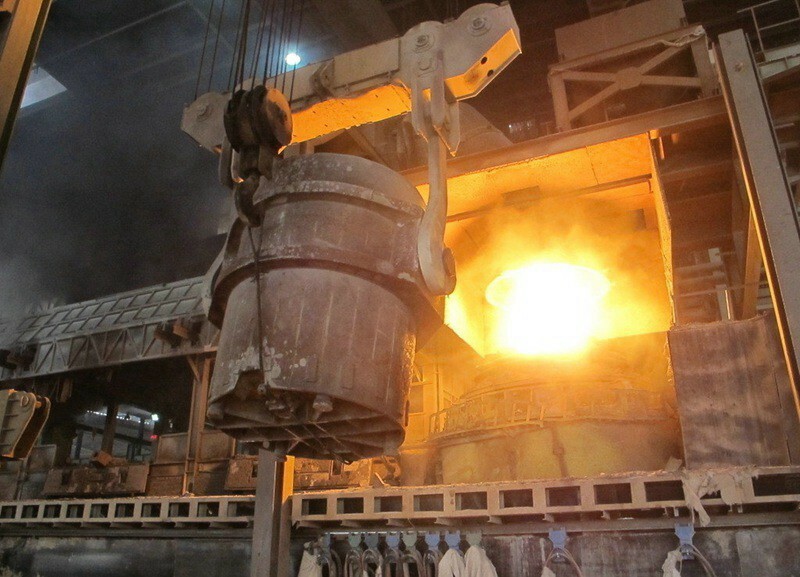 We manufacture range of products for different applications in the steel industry. We customise and recommend the perfect solution to our clients. 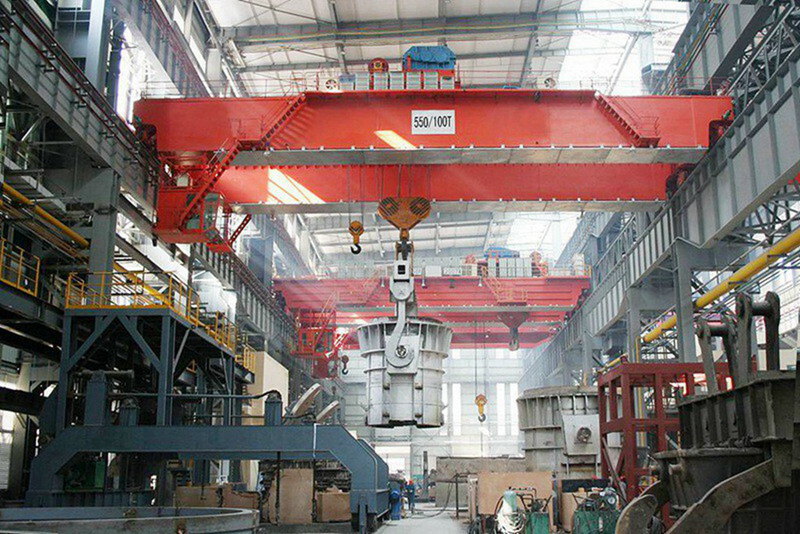 QDY&YZ model bridge foundry cranes,ladlecranes with hook mainly consists of main beam, hook trolley, crane traveling mechanism, cabin and electric controlling system, etc. 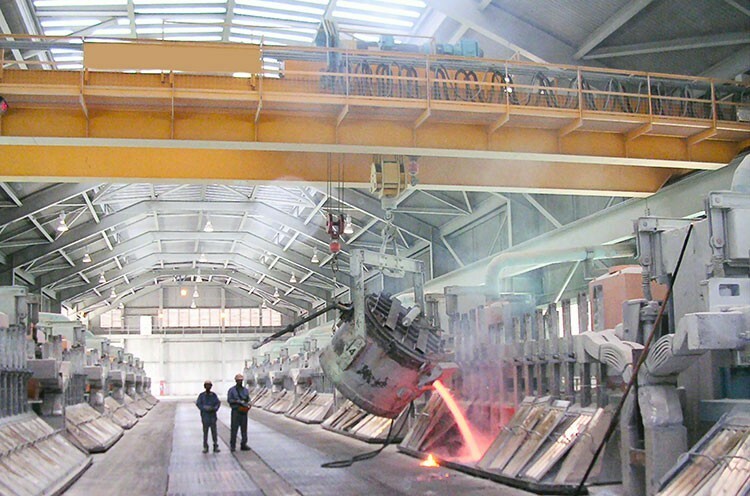 Foundry crane is one of the main equipment in the continuous casting technology of steel making. 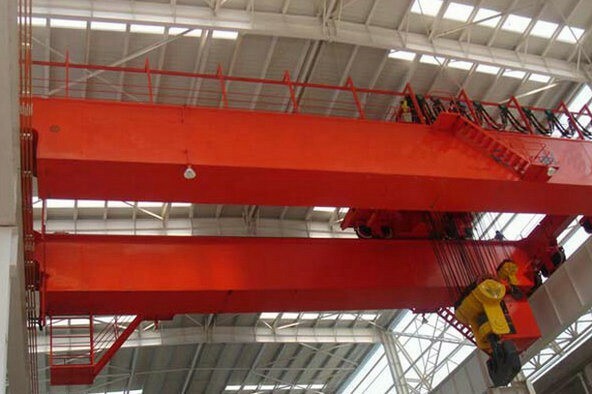 It is mainly used transfer the pouring melted iron to the appointed place, and the thermal-protective coating is added at the bottom of the main girder. 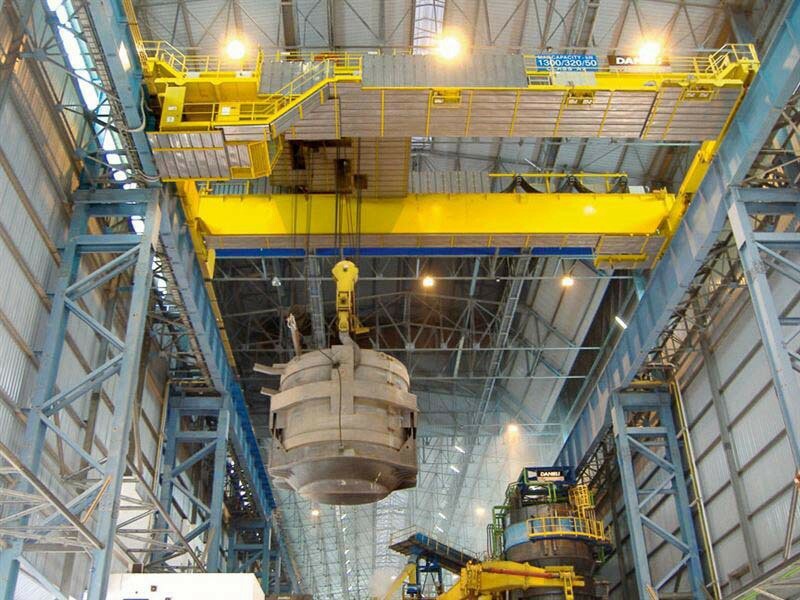 The place where molten nonmetal material and red-hot solid metal is lifted. 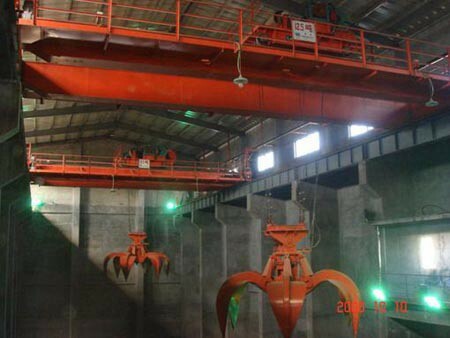 The casting overhead crane are heavy duty for 20-24hours working. 6. According to your other demands.